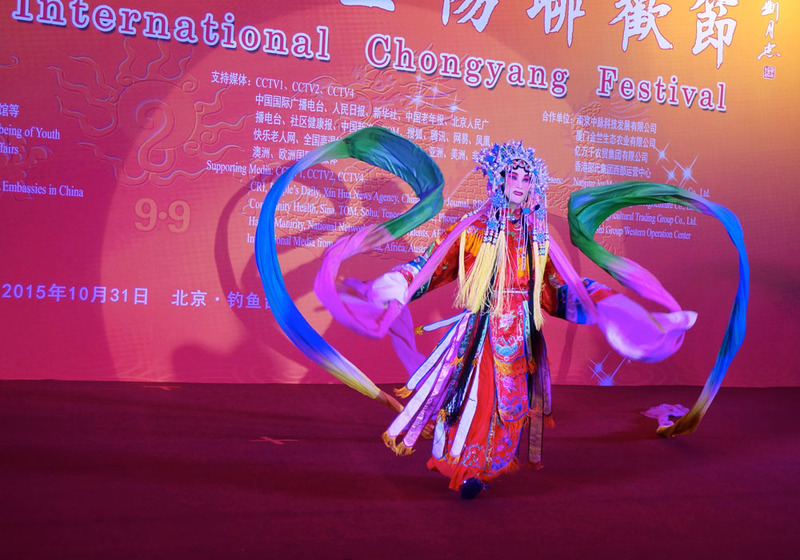 The Double Ninth Festival, also called Chongyang Festival, is the official day to pay respect to the seniors (in China that is, over 60). 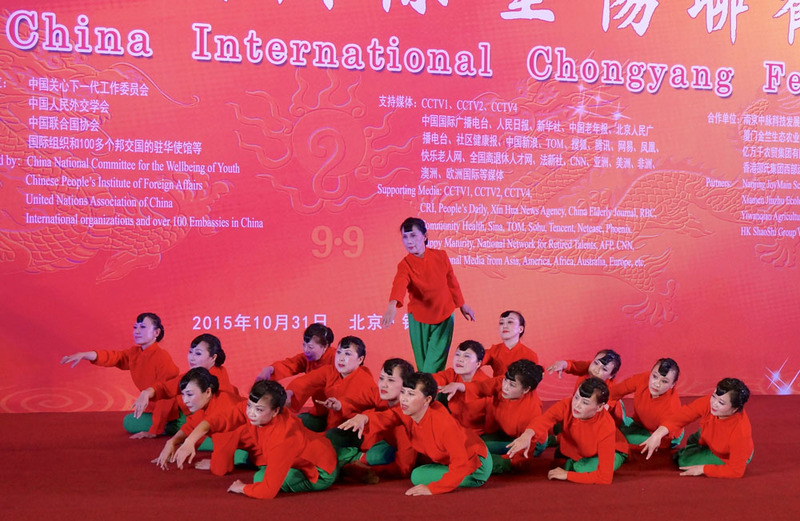 This year the date fell on 21 October 2015. 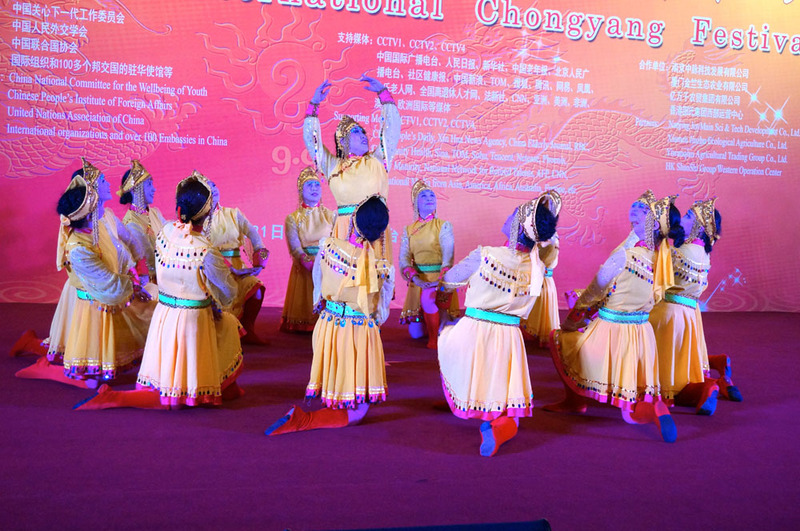 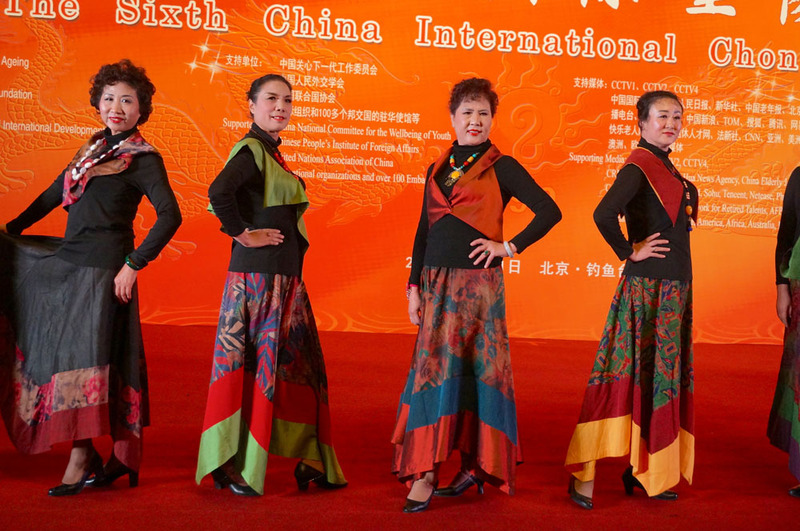 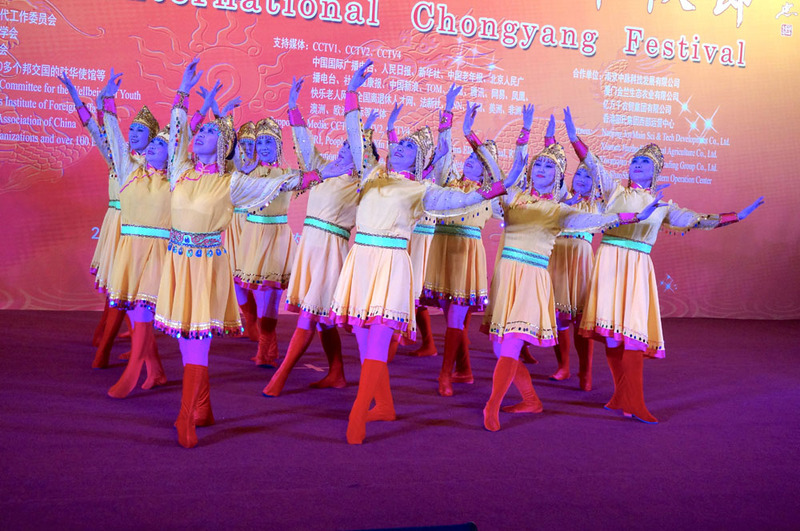 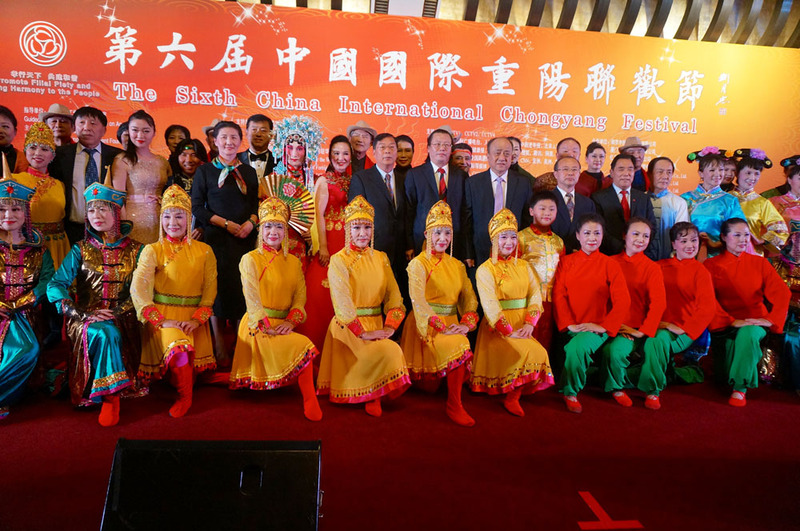 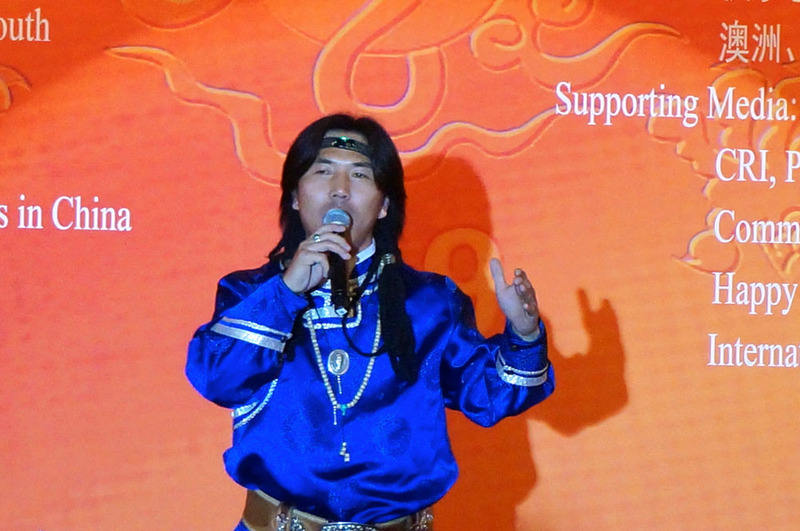 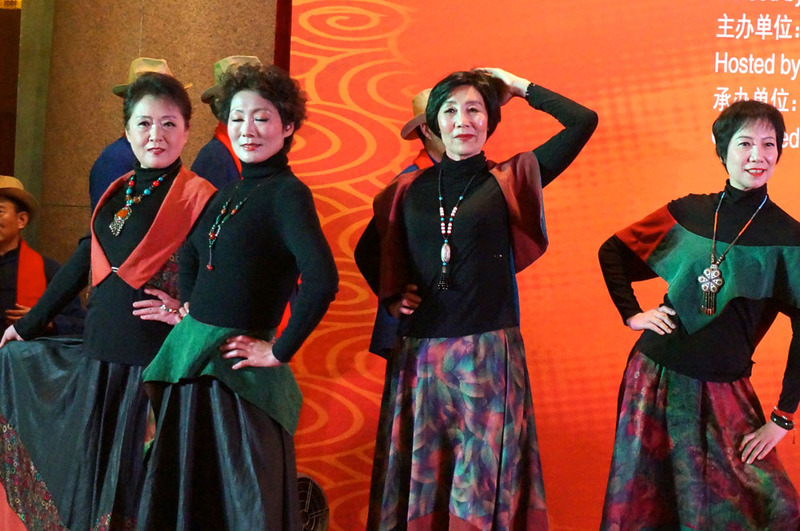 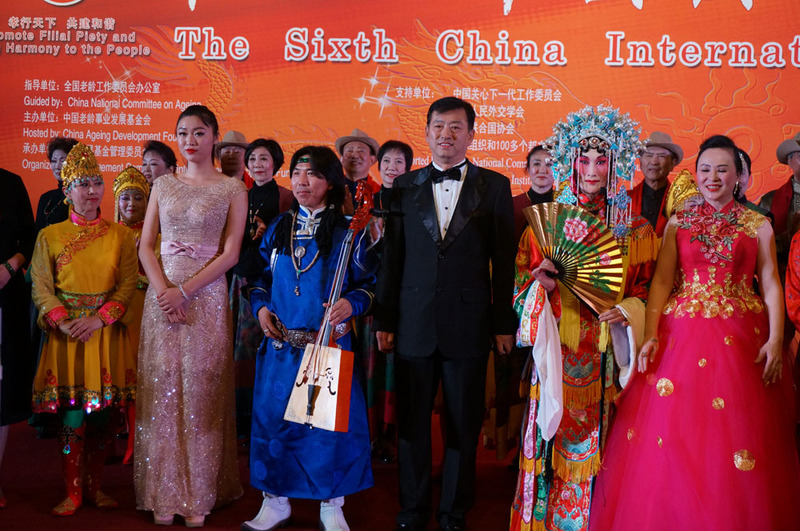 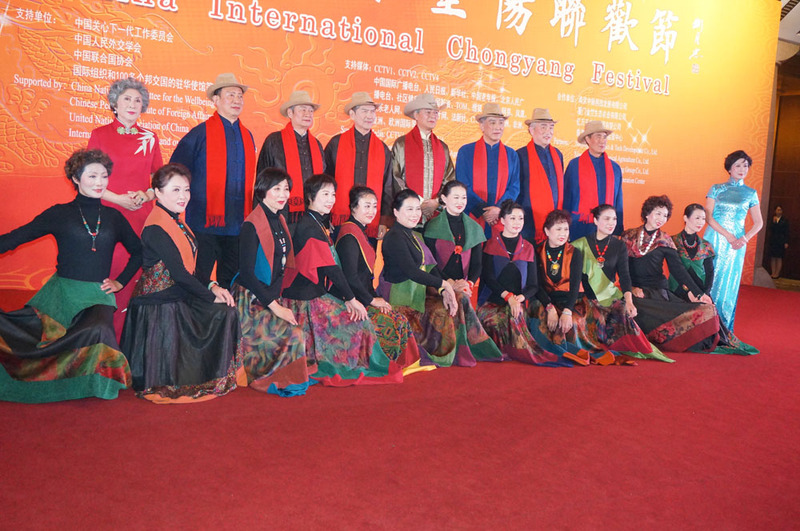 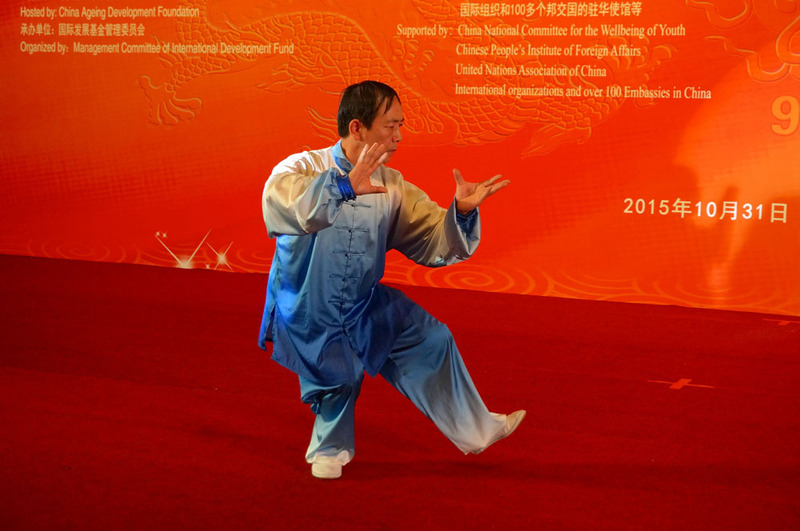 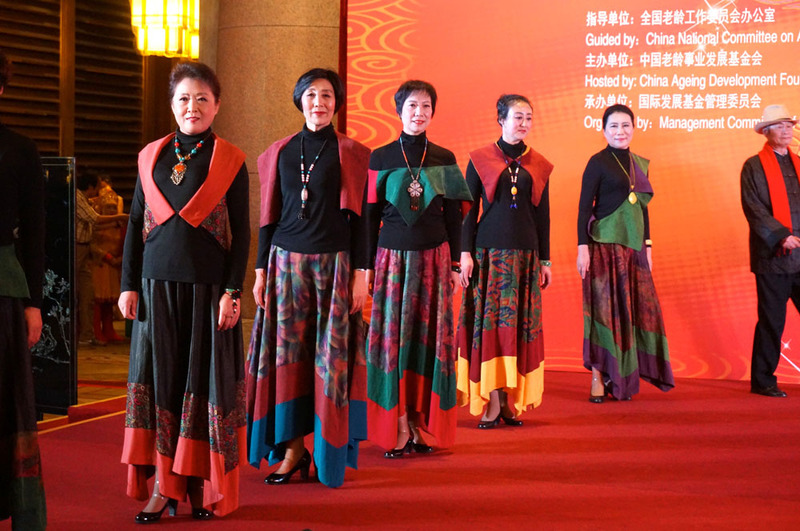 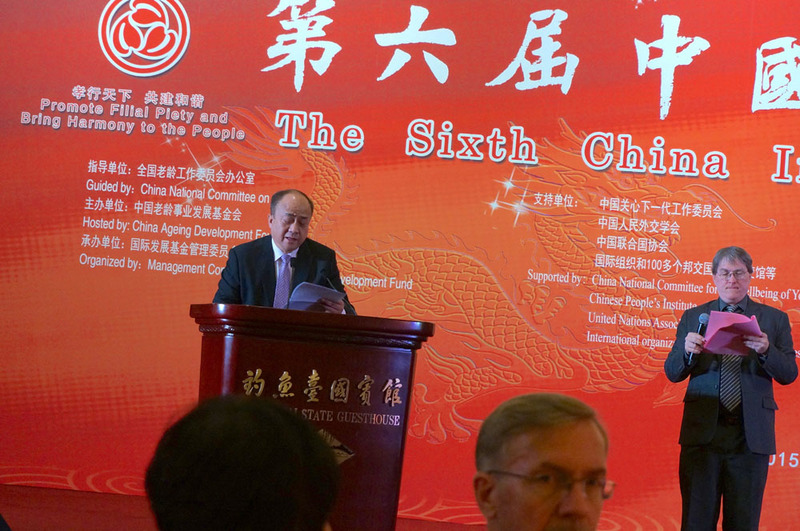 The first four China International Chongyang Festivals were successfully organized and held in 2009, 2010, 2011 and 2012; due to budget restrictions and the call for saving money, 2013 was not held. 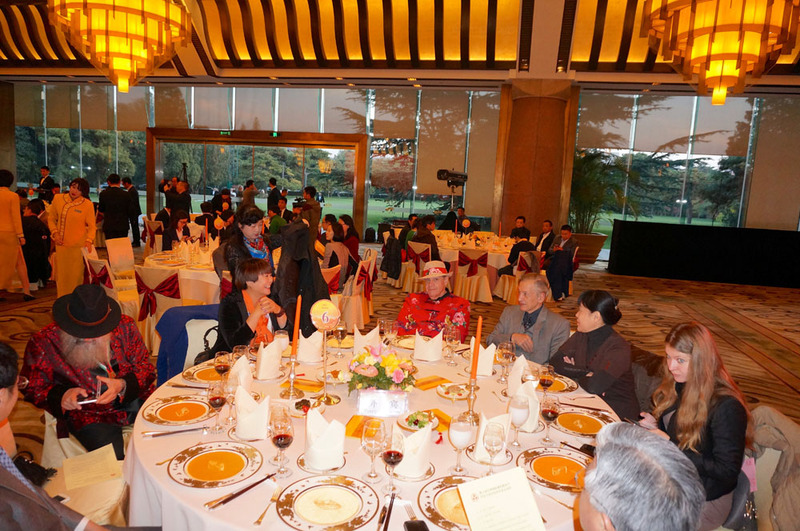 I am in the Organizing Committee since the first one. 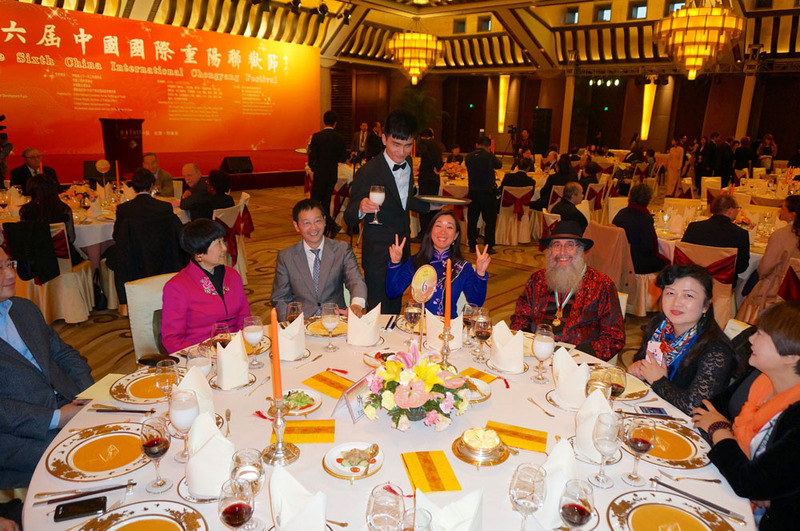 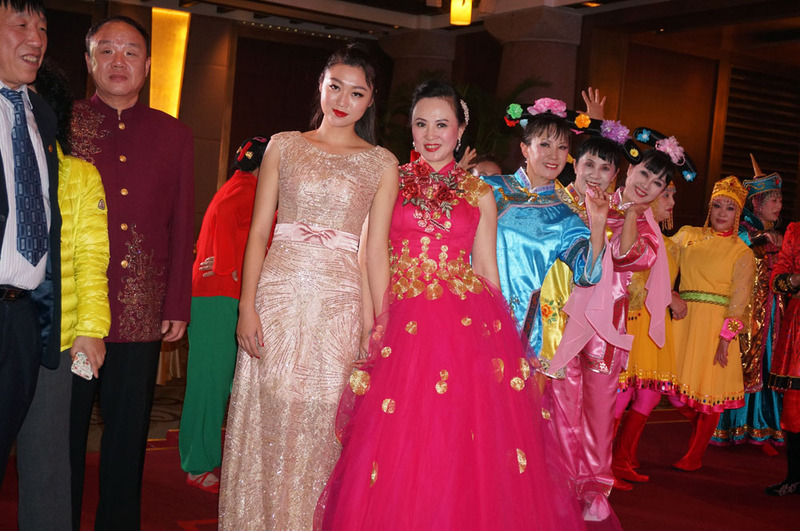 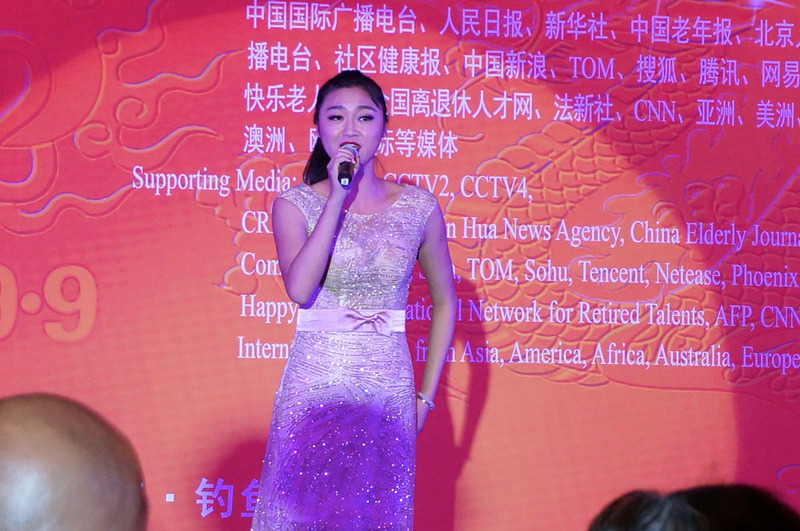 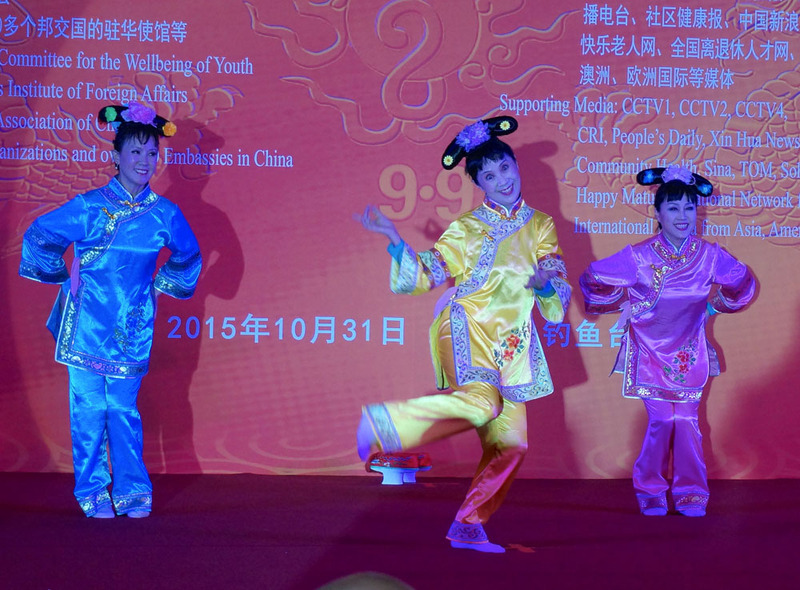 Like last year, the event took place in Diaoyutai, on 31 October. 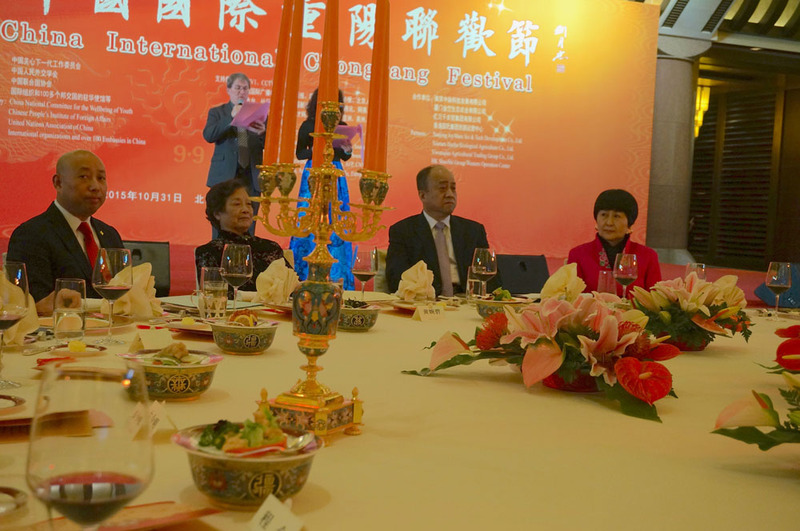 It was hosted as usual by the Managing Committee of China Aging International Development Foundation, where I also have a position. 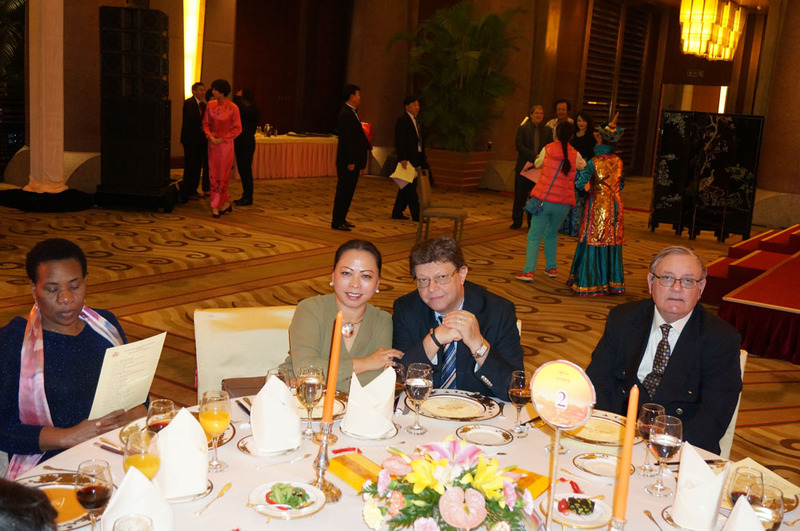 This year the Pakistan Ambassador took part for the diplomatic corps, and gave a speech. 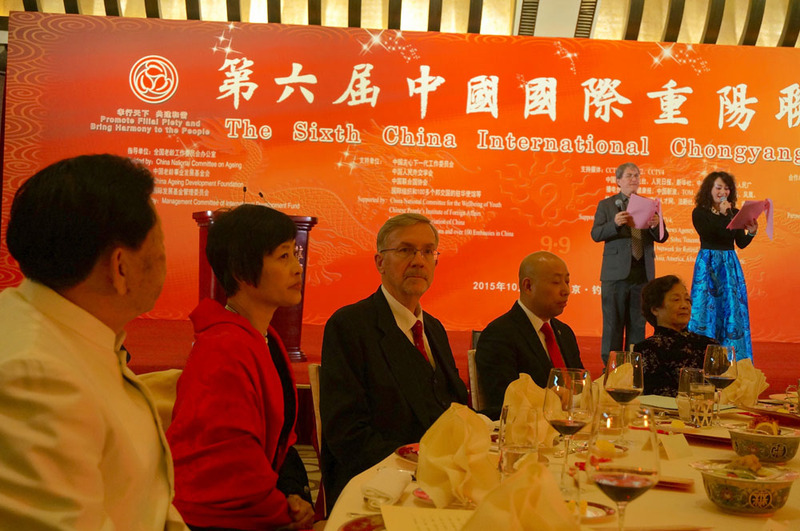 I invited several foreign “senior” citizens and organized a bus from our residence to the Guesthouse. 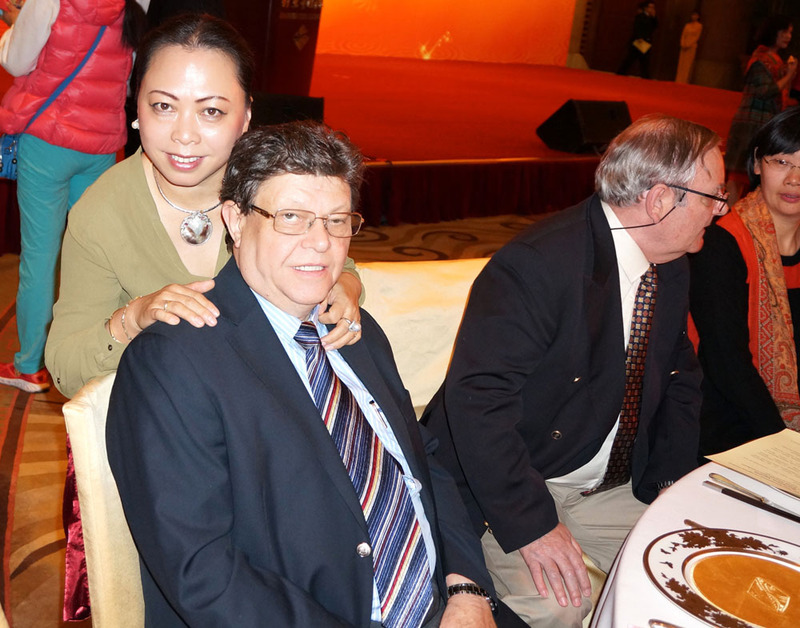 Many of my friends attended: Renaat & Susan, Regula, Marcel. 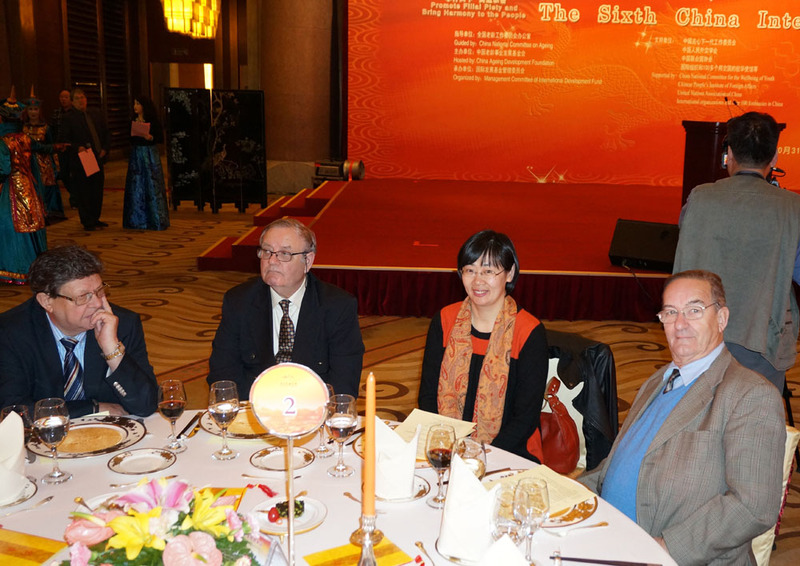 Jan, Harvey, Jo, Michael, Mark & Fu Han, Emile, François … Nice to have them all. 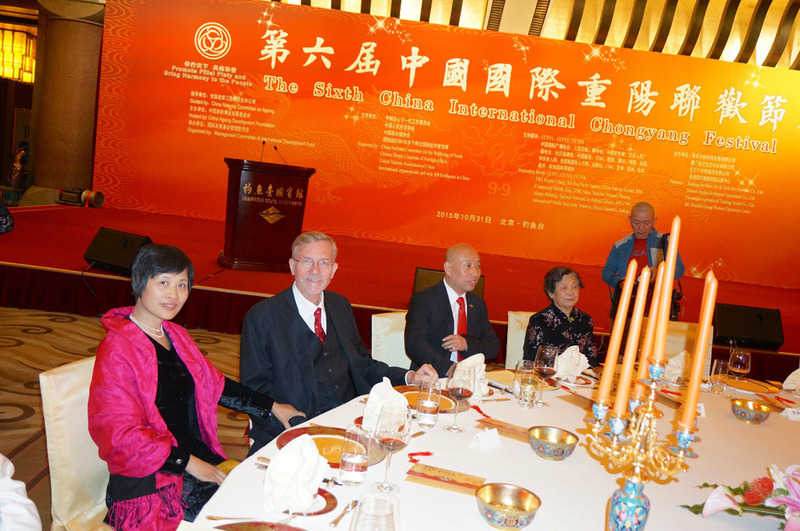 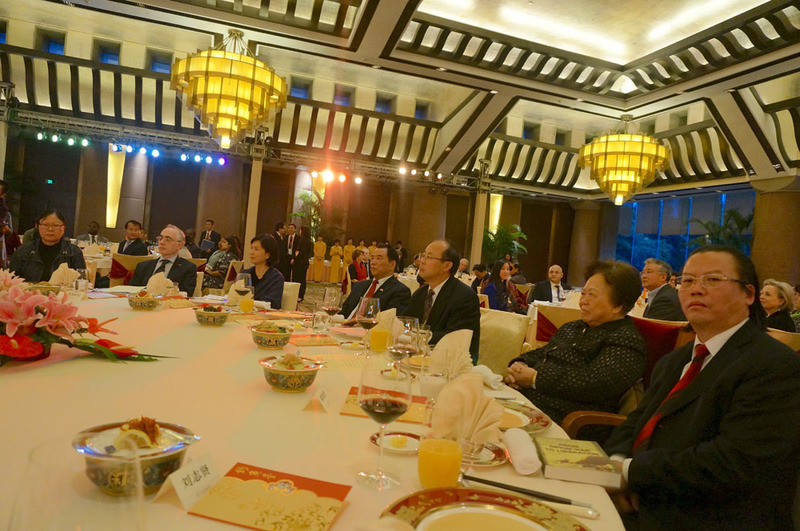 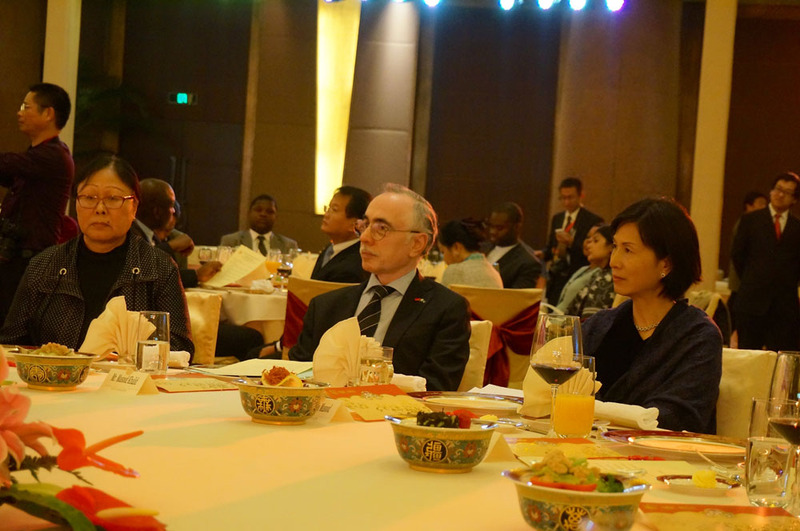 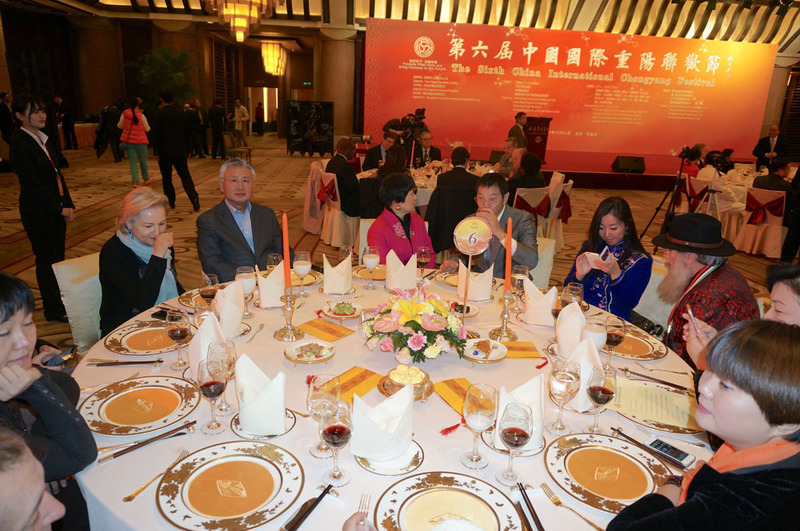 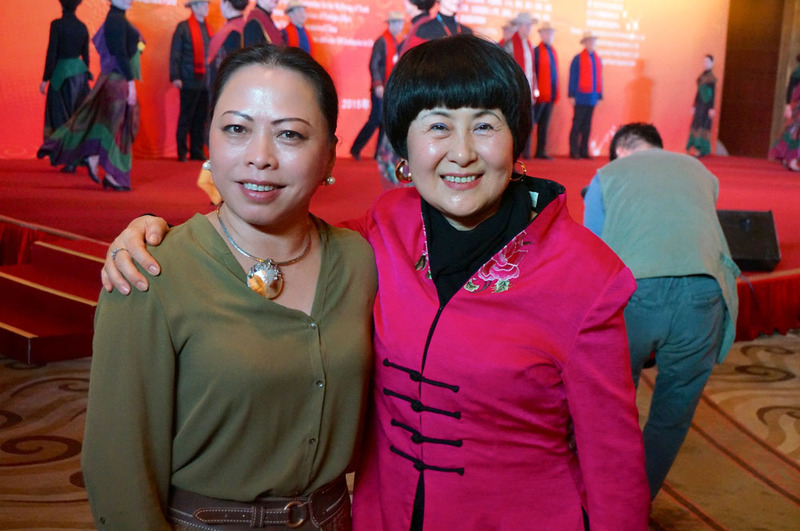 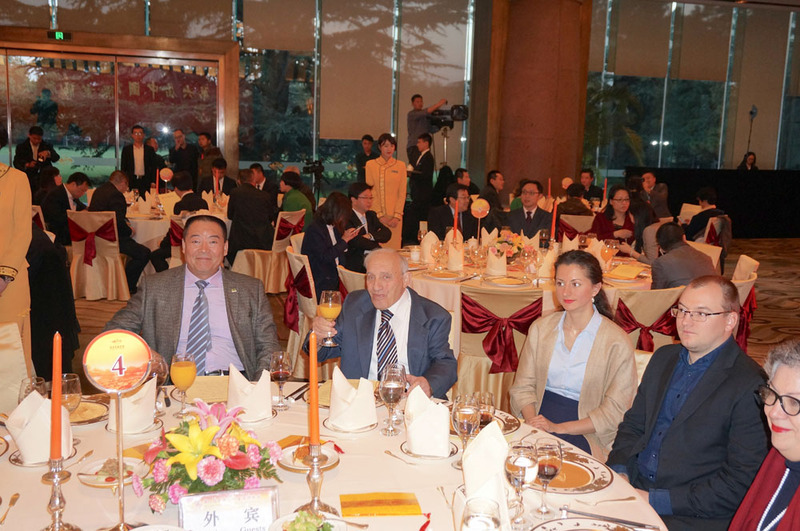 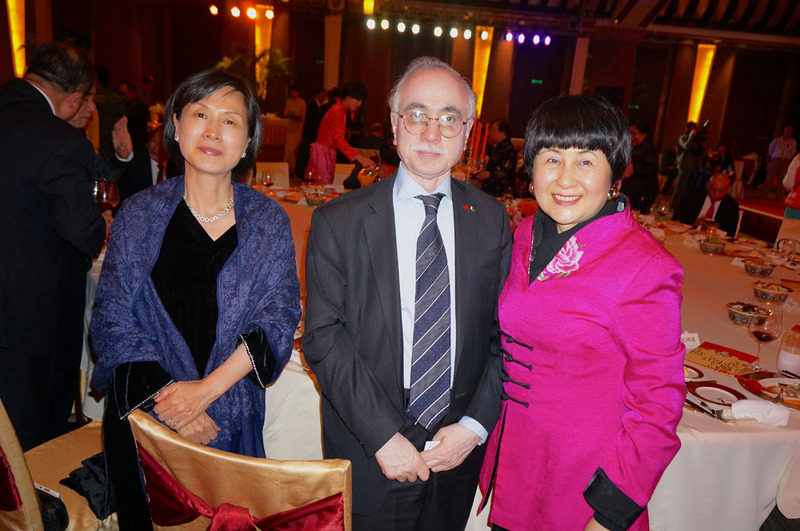 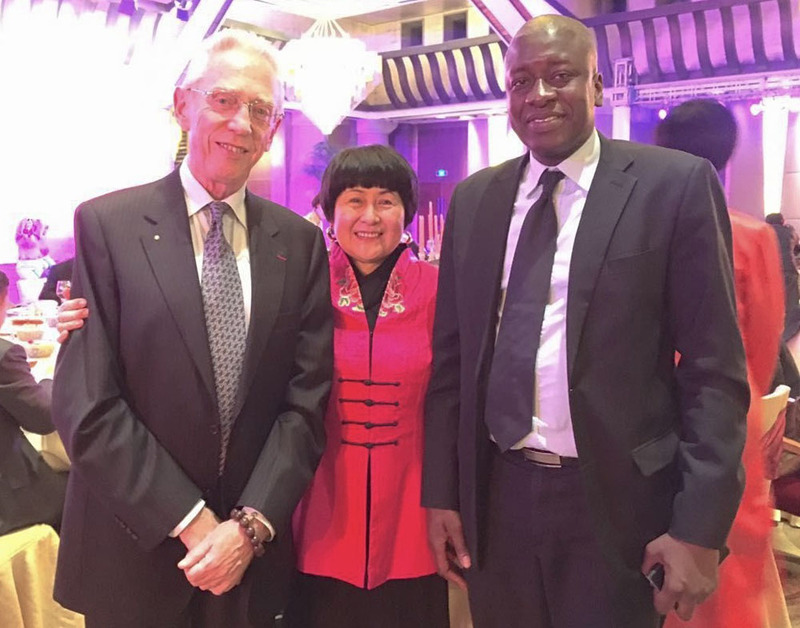 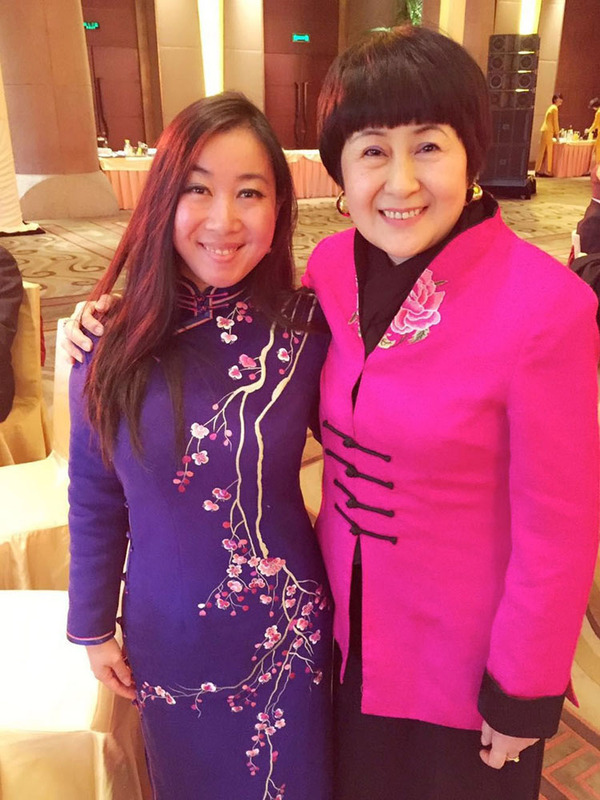 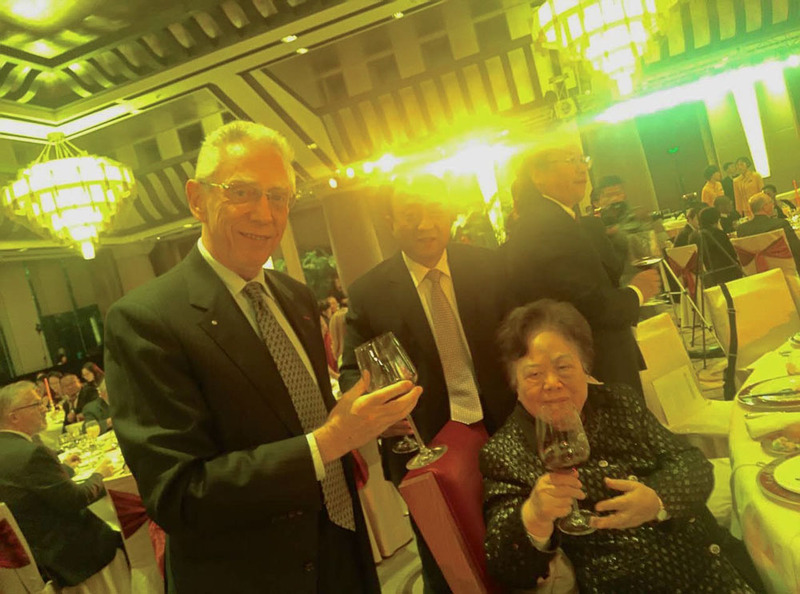 Ms. Peng Peiyun was again the highest invited guest from the government; she is Vice Chairperson of the Standing Committee of the National People’s Congress, the Chairwoman of the All-China Women’s Federation, and President of the Red Cross Society of China. 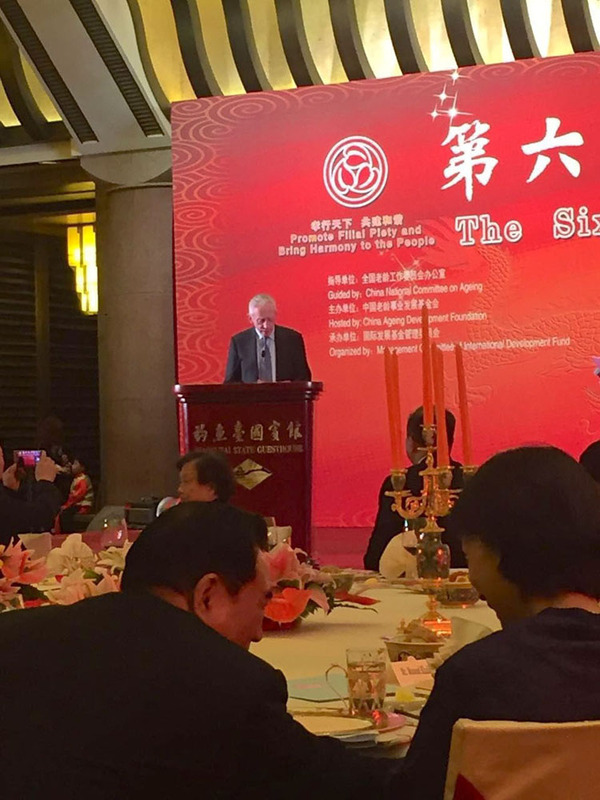 This time I gave my speech in English, as representative of the foreign seniors. 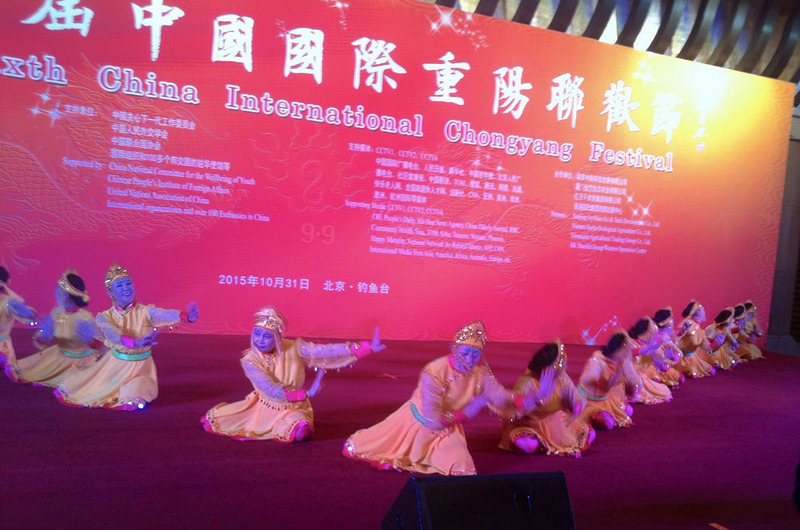 As always the performances by the senior citizens’ perfomers were impressive and charmed the audience. 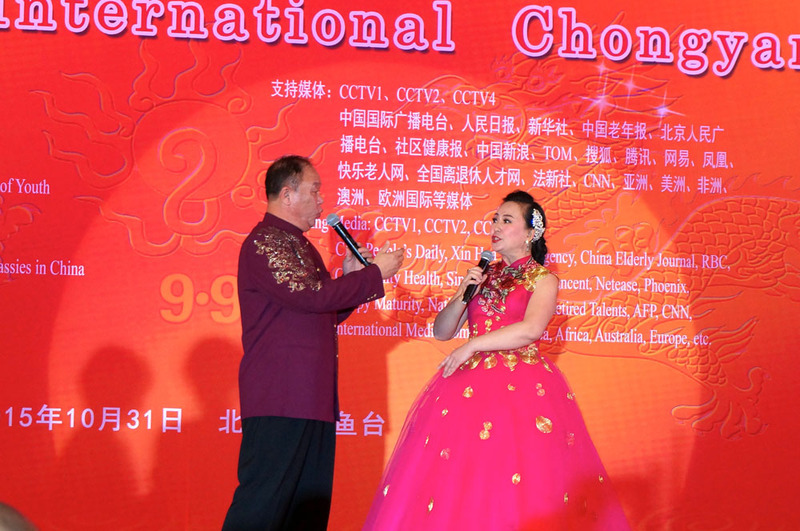 See the pictures! 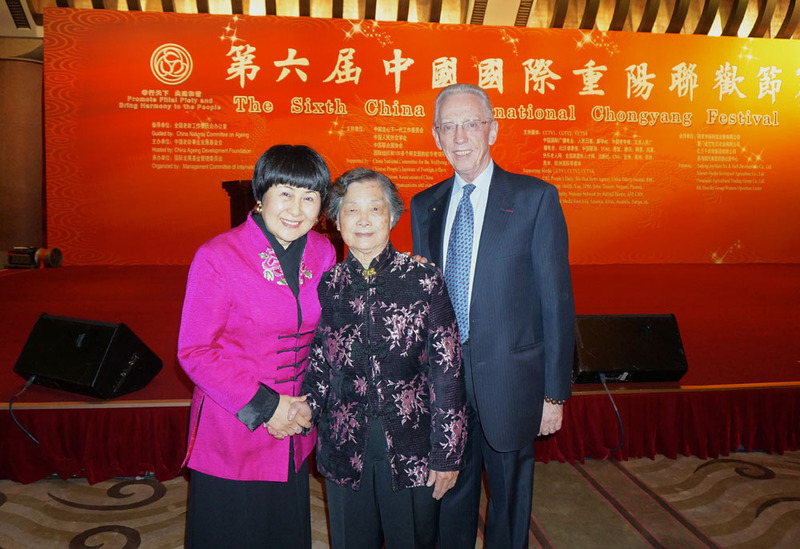 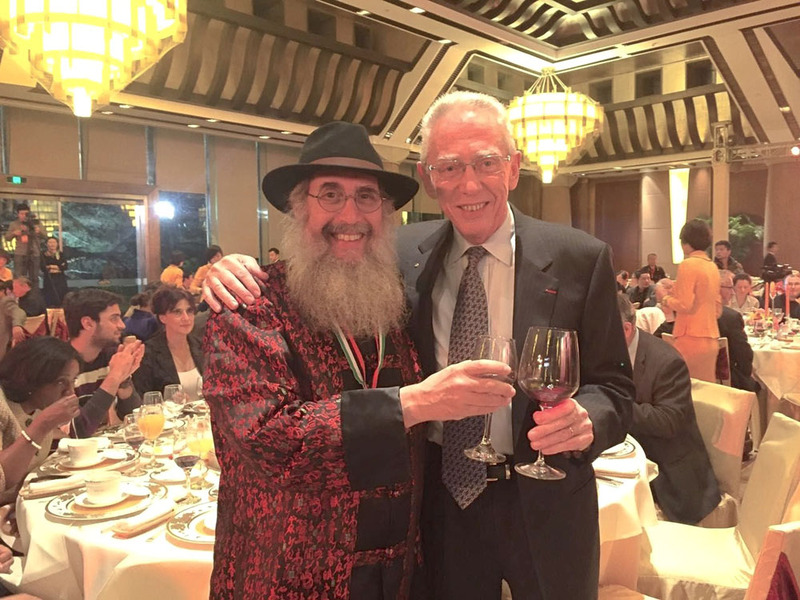 Pictured also is Mrs. Wanbi Epstein, the widow of Israel Epstein who kindly gave me a signed copy of his book “From Opium War to Liberation”.